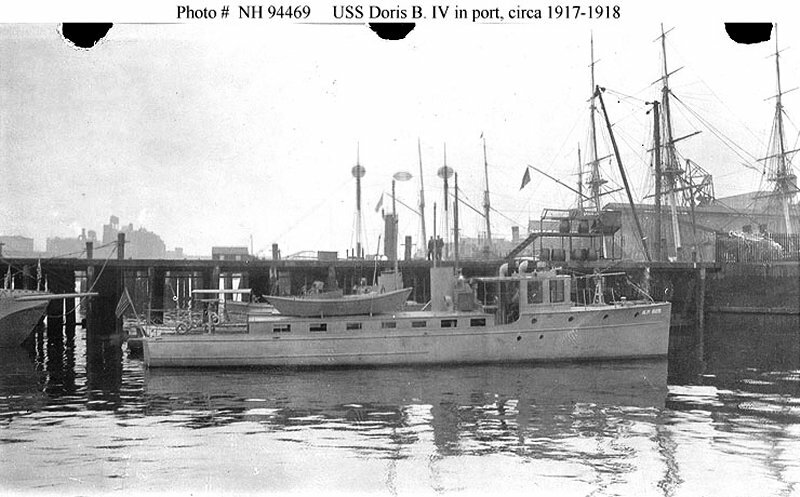 Doris B. IV served both the U. S. Navy, the Treasury Department or the Public Health Service. 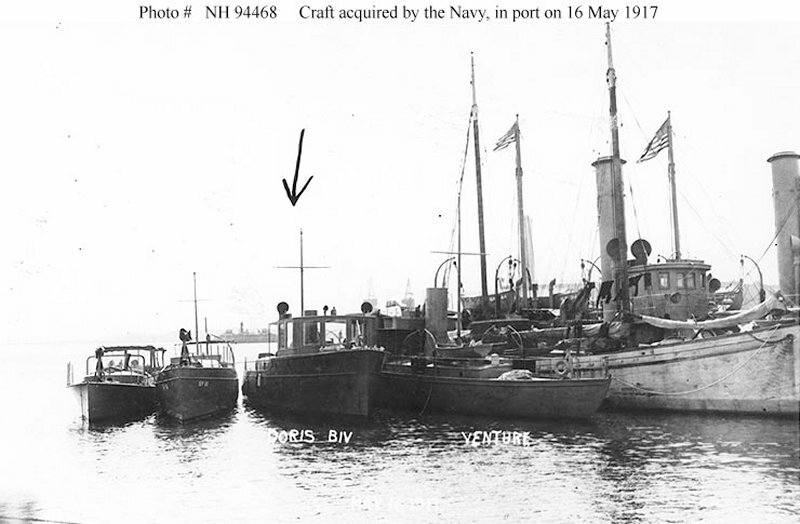 Motorboat: Built in 1917 by Britt Brothers, Lynn, MA; Acquired by the Navy in April 1917; Commissioned 12 May 1917; Decommissioned 31 January 1919; Transferred to the Treasury Department 21 November 1919, (some records indicate that she was transferred to the Public Health Service). Fate unknown. 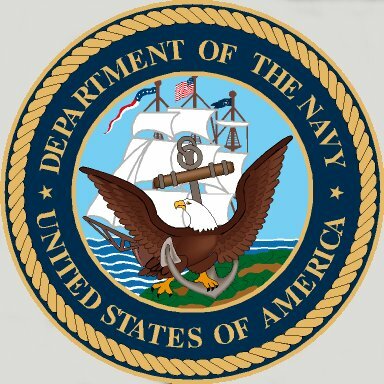 Specifications: Displacement unknown; Length 67'; Beam 13' 4"; Draft 5'; Speed 17 kts. ; Complement 10; Armament one 1-pounder. 67k In port on 16 May 1917, while being prepared for duty. Second boat from the left is Gypsy (SP-55), next to her, to the right, is Doris B. IV (SP-625), second from the right is Venture, at right is Comber (SP 344). 92k In port, circa 1917-1918, probably at the Boston Navy Yard, Charlestown, Massachusetts, with the masts of USS Constitution in the right background.